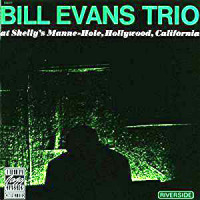 &BBill Evans and Randy Brecker are both, to put it succinctly, well-traveled. In more than twenty years as a solo artist, Evans has been nominated for several Grammy awards, establishing a repertoire that includes traditional jazz, funk, hip-hop and Brazilian styles. Brecker has been delivering straight jazz, fusion, rock and R for three decades. Collectively, the pair has performed or recorded with a wide range of acts, including Miles Davis, Parliament/Funkadelic, James Taylor, Steely Dan, Horace Silver, Chaka Khan, Dave Liebman, Andy Summers and the Mahavishnu Orchestra. Evans and Brecker have now come together with their own supergroup, Soulbop Band, a small ensemble that includes Steve Smith (drums), Victor Bailey (bass), David Kikoski (piano and keyboards) and Hiram Bullock (guitar). 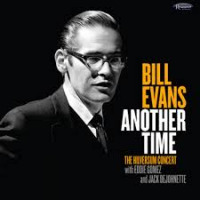 With Evans on tenor and soprano sax and Brecker on trumpet and vocals, this group is on fire from the first note of Evans' "Rattletrap, the first track of the two-disc set Soul bop Band Live. While the leaders are in the spotlight, the sidemen steal the show. Bailey's bass, Bullock's rhythm guitar and Smith's two-bass drum kit give this opener some extra sizzle. Brecker's "Above & Below gives the band plenty of room to stretch out. While Evans and Brecker sizzle on their respective instruments, Bailey and Smith are in zones of their own, keeping the unit tight while expressing individual freedoms. Kikoski adds a high-energy piano solo. Though it runs over eleven minutes, this track never drags. Disc one closes with the Brecker Brothers' classic "Some Skunk Funk and Bullock's "Greed. The former features Bailey in a stunning electric bass solo. The latter is a blues-rock anthem from Bullock's Try Livin' It (ESC, 2003). Brecker takes off on a blistering solo while the other players hold the rhythm. Bullock delivers a solo of his own later, setting up a sizzling ending. Disc two offers more of the same. Evans and Brecker are the featured performers, but Bullock, Bailey, Smith and Kikoski get their licks in, too. 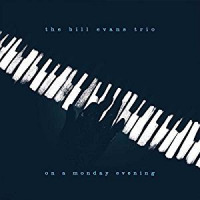 Kikoski really shows out on Evans' "Cool Eddie, one of the more playful songs in this set. Smith gives the toms a workout while Evans and Brecker light things up on "Mixed Grill. On the final track, "Dixie Bop, Bailey treats us to high-speed, deep bass solo. Through it all, there's a strong sense of a group approach, although each player is given plenty of freedom to ad lib. 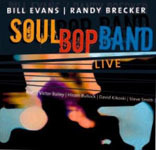 Recorded during the group's 2004 European tour, Soul Bop Band Live is a stunning collection of songs that represent some of the best work by Evans, Brecker and Bullock. Capturing their many moods and combining their cohesive talents, it packs more than two hours of high-energy music that's sure to put a smile on your face. 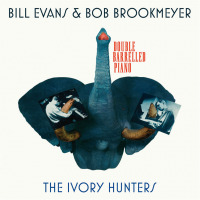 Visit Bill Evans and Randy Brecker on the web. 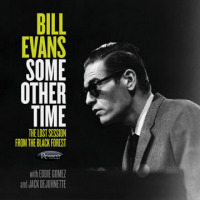 Personnel: Randy Brecker: trumpet, vocals; Bill Evans: tenor and soprano saxophone; Hiram Bullock: guitar, vocals; David Kikoski: keyboards; Victor Bailey: bass; Steve Smith: drums.